I grew up here, went to Goshen High School, went to Goshen College, and now I work at Goshen High School in the English Department. This is my fifth year. I was a student teacher there, and then they hired me right out of that. Newspaper is one of the classes I teach; the students get to interview people and figure out what stories are important to tell. I also teach reluctant ninth graders and the IB (International Baccalaureate) seniors. I’ve got the full spectrum on any given day. I feel like in springtime, there are so many things to do again. We can ride our bikes down the millrace trail. I love going out to eat, and there are so many options here; we don’t have to go very far to find what we want. I love going to restaurants and then trying to copycat what they did, with varying levels of success. I love Goshen Brewing Co. It’s just so friendly and everybody knows you, or people wave and say hi. My husband Gregg and I can come by ourselves and we can end up talking to four different people we know, or the strangers we don’t know who sit beside us. Overall, Goshen is a really supportive community. A brewing company can pop up and people will be like, “Yeah, we’ll support this!” At the high school, for the theater program or a musical, kids can go out to community members or businesses and say, “Hey, we need your support in order to make this work financially,” and people always support them, financially or by showing up to things. 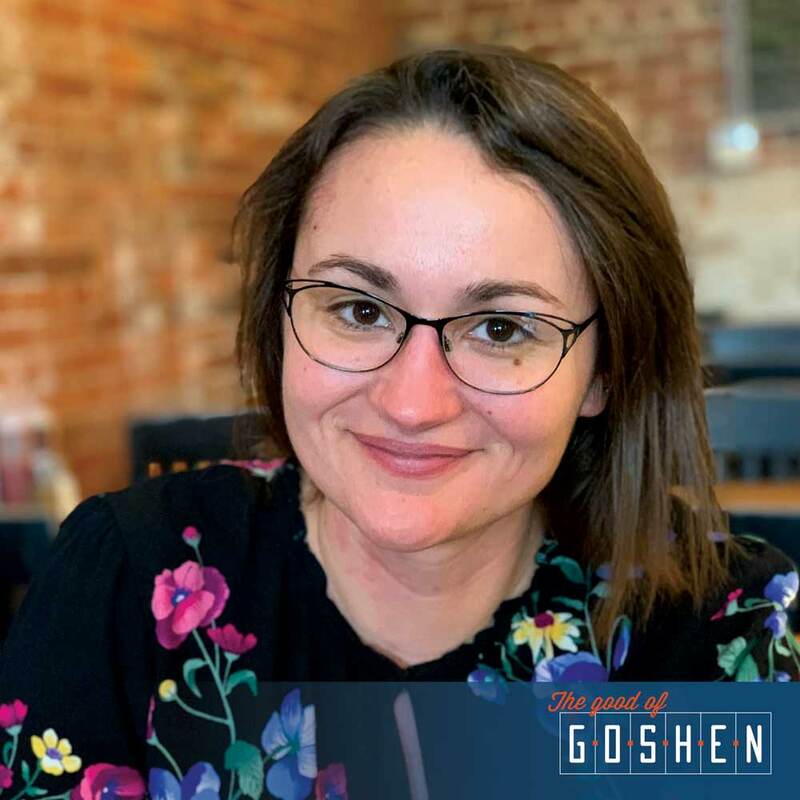 So many people are so well-connected in the Goshen community, but it doesn’t feel like an exclusive community. New people can show up and it’s not like, “Oh, well, you’re not from here, so we don’t love that.” It’s community-based, but not exclusive.